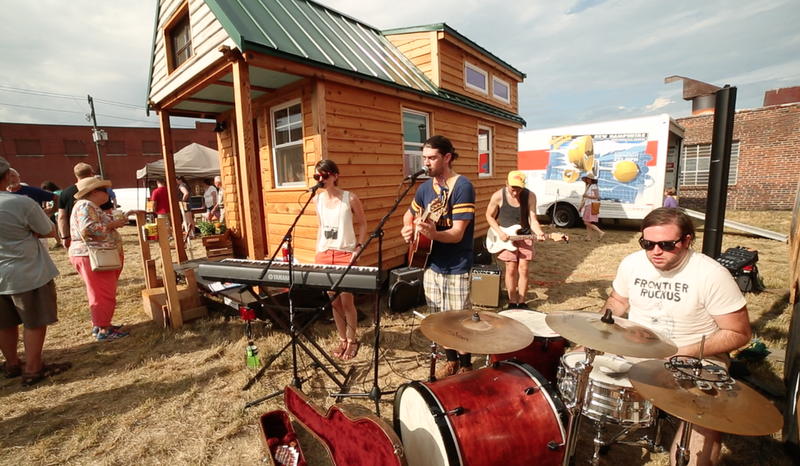 Tiny House Expedition on the Green in Winston-Salem, NC— a tiny house community exhibition, pop-up park and community building festival. A beautiful day of community! 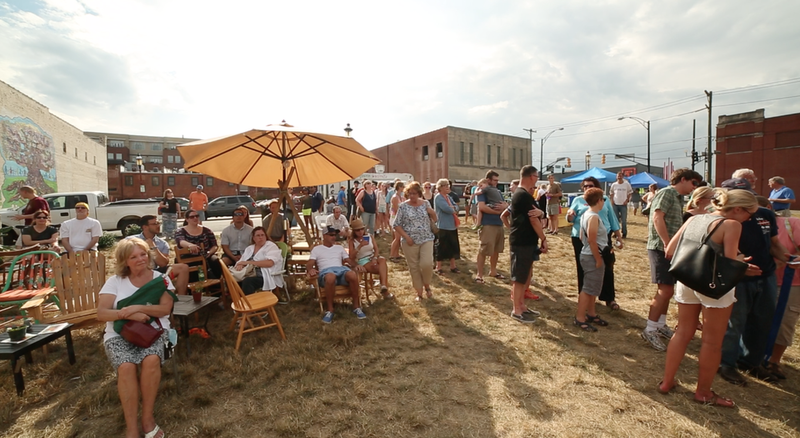 Approximately 3,000 folks came out to celebrate home, community, the completion of our tiny house on wheels, and the start of our expedition. We temporarily transformed a private green space in downtown Winston-Salem, NC into a tiny house community, featuring three tiny houses (two on wheels and one container house). The event was free and open to the public. The BIG idea: experiencing in-person is believing. 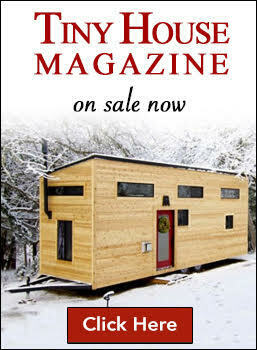 And no matter how open minded someone or a local official might seem, it can be mind-boggling for them consider having a tiny house in their neighborhood. While others are thrilled to welcome them. 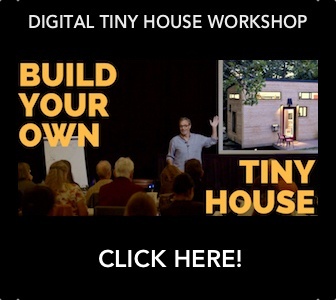 There’s nothing like experiencing a tiny house in-person to appreciate the possibilities of small space design and better understand how this could be a quality home for many, if not yourself. 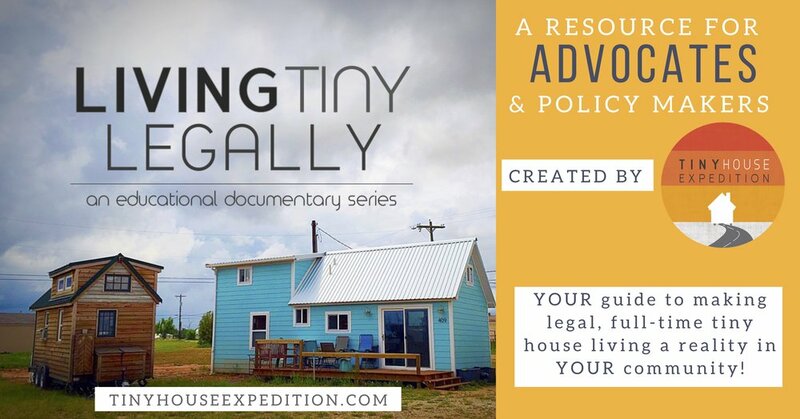 Tiny house exhibits are proven as an effective advocacy tool for garnering legal and social acceptance. 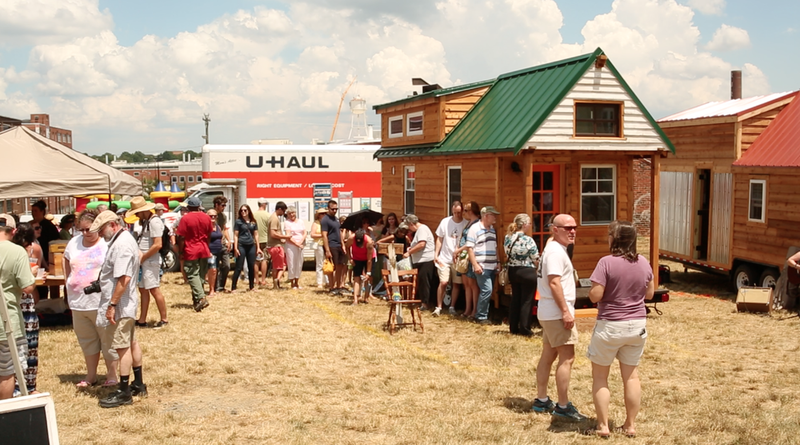 Engage & inspire local citizens through tiny housing display, interactive exhibits & though-provoking conversation. 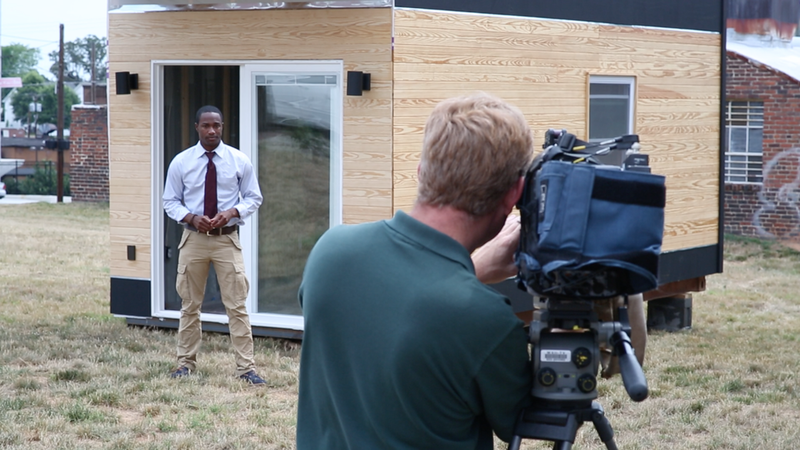 Spotlight on an innovative, fill-in-the-gaps affordable, sustainable housing solution. Entertain! Food trucks, live music & kids activities. Celebrate happy, healthy, sustainable community. Promote positive community building & involvement. 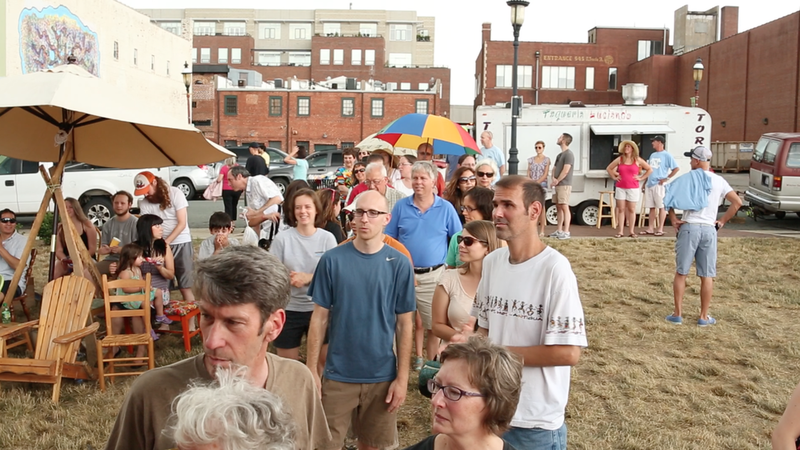 Event featured on Triad Arts by WFDD, listen here. Focus on art, innovation + happy, healthy, sustainable community. Food trucks plus brews from Hoots Beer Co.
Great raffle prizes; lucky winner won a night's stay in our tiny house on wheels! Tiny House Expedition on the Green. Raffle winners and event wrap up.